Rajendra KC was born in Lalitpur Kathmandu, Nepal. As a child, he studied basic painting courses at the Sirjana Contemporary Art Gallery in Kathmandu, Nepal. After, he self-studied, developing his own unique watercolor techniques and style. 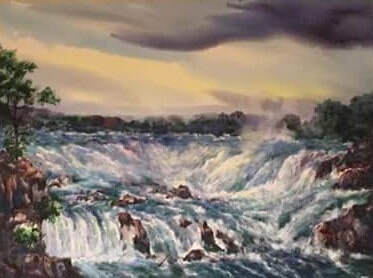 His talent for painting became apparent when he was in seventh grade, and since then, painting has become his lifelong passion. Rajendra grew up in the capital city of Nepal, Dhobi ghat, Kathmandu, where he lived for 35 years before coming to the United States. 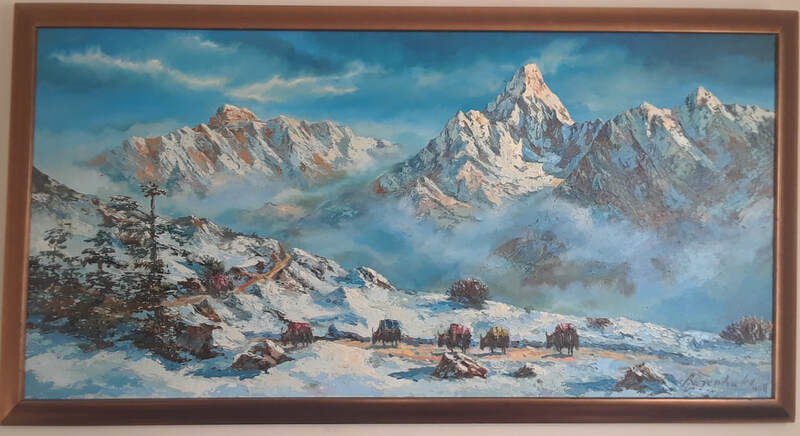 He worked during the week for the government in Nepal, and on the weekends, he would travel to different parts of the country where he enjoyed painting from nature and capturing the local landscape. Rajendra moved to the United States with his family and now lives in Falls Church, Virginia, where he keeps a studio. 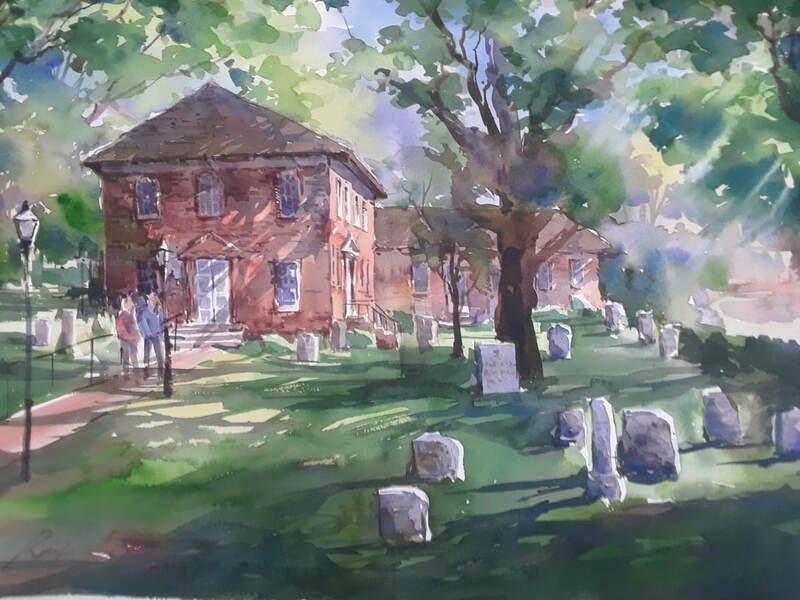 he is an active member of the Falls Church Art, Inc. (FCA), where he conducts classes as a painting instructor. In season, he also paints every Saturday morning at the Farmer's Market in Falls Church. 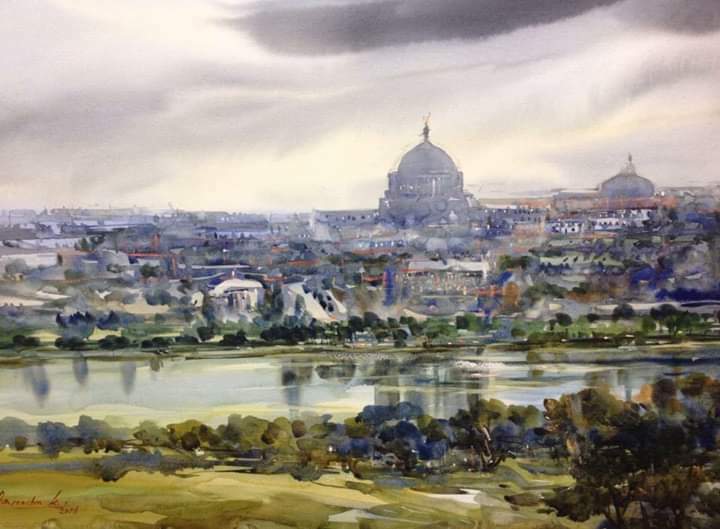 Rajendra is primarily a watercolor plein air artist, but he also likes working in oils and acrylics. His paintings are in many private collections in Nepal and the United States.